Fighting at different points of the Spanish Championship standings, Rayo Vallecano and Betis have their paths crossed this Sunday, March 31, in a match that is part of the schedule of the twenty-ninth round of the LaLiga 2018/2019 season. The game will be played at the Vallecas stadium in Madrid. The start is scheduled for 9am (Brasília time). Ten days remain to close the dispute. The tournament reserves vacancies for the top four placed in the 2019/2020 version of the Champions League. Who finishes in the fifth and sixth places will have the possibility to participate in the next dispute of the Europa League. The last three placed among the 20 participants will be relegated to Second Division. Rayo Vallecano is in the ‘class of the foundation’. With 23 points (six wins, five draws and 17 losses), he occupies the nineteenth – penultimate – position in the table of classification of the Spanish Championship. He started the day’s 29th-place play-off with six handicap points against Villarreal, seventeenth and first out of the sticking-out region that would face Celta in Vigo on Saturday, March 30.The situation, which would already be delicate in any circumstance, is even more complicated in the wake of the defeat of Rayo Vallecano. The team lost their last seven games. 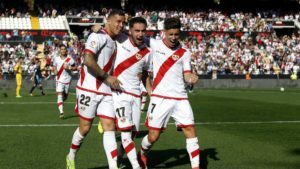 Thus, the two-week break from the tournament due to the games played between teams turned out to be a hope of the fans so that coach Paco Jémez managed to clean the house.With 51 goals conceded, Rayo Vallecano has the most leaked defense of LaLiga. Even his homemade performance, although slightly higher than the overall, is not one of the most exciting. The team is the third worst in this area. Of the 42 points he played as column one, he had 13 (three wins, four draws and seven losses) scoring 20 goals and conceded 29. Betis is well above the leaderboard. He is eighth with 39 points (11 wins, 6 draws and 11 losses). But it has even bigger ambitions. It is in the fight to reach a place in the classification zone for international competitions. The enemy to be beaten in this battle is precisely his greatest rival, Sevilla, sixth placed, who has four points more.As a visitor, however, their numbers are worse. The alviverde is the ninth placed in this LaLiga ranking. Of the 39 points that played as column two, took 17 (five wins, two draws and six losses) to Seville having scored 13 goals and suffered 15.Coach Quique Setien has two doubts about the bruises for Sunday’s match. 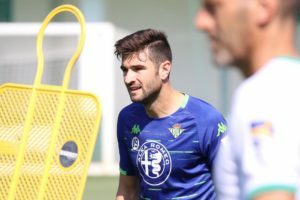 The defenders Antonio Barragan (13 matches in the 2018/2019 version of the Spanish league without a goal) and Firpo Junior (16 matches, three goals) are in the care of the medical department. The stoppage may have been useful for both, but it is more likely to yield fruits to Betis, who was on a downward trajectory after an intense period in their schedule with games played in the media and weekends and has a technical reserve much higher than Rayo Vallecano. Thus, the prognosis in the victory of the visitors seems to be the best option of guess for the confrontation of this Saturday by the twenty-ninth round of the Spanish Championship season 2018/2019.